Asian contemporary art is a subject so near and dear to many art devotees in the region that it never fails to capture their attention. 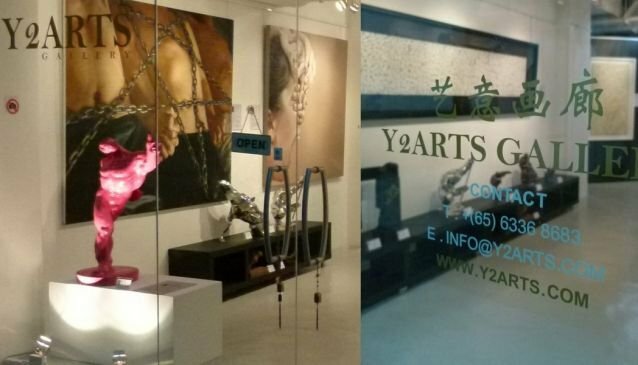 Y2ARTS is one such art gallery which highly values its interest in the particular field of study, with special attention in Chinese contemporary art. As a boutique gallery in River Valley, Y2ARTS showcases the finest collection of artworks from Asia's most talented visual artists. Highlights of past exhibitions put up by the art gallery, include one that could well be an answer to the aptly question Y2ARTS, entitled ' Diversity 2013 - Art Is A Concept To Be Challenged'.